Brad is an outstanding videographer! He was incredibly accommodating, professional and personable leading up to and on the day of our wedding. He stayed with us until the end of the night capturing so many memorable moments. We can't thank him enough for his outstanding work and getting the video to us so quickly. There is no hesitation in recommending him to everyone we know. We are so happy with our wedding video, thank you so much! Brad was referred to us by a friend and it was by far the greatest referral we have got. Brad was extremely accommodating and made our wedding day so special. Our wedding video is more than we could have ever imagined or dreamt of and he really made our every wish come true. Thanks again, Brad! Howe Video was there to capture the best day of my life. At my initial consultation with Brad, I knew that I needed him to be a part of my team. Throughout the day, he and Mike kept everything cool, calm, and collected. I couldn’t wait to watch it once it was ready. This weekend, the wedding video finally made its way to my living room. I couldn’t believe my eyes. There were so many laughs, tears, I was able to re-live the day and I was so happy. This was the best money spent, and for anyone who is on the fence for video, DO IT. I can’t imagine not having this, and I’m so glad we did! Brad was our videographer for our wedding in August and we couldn't of asked for anyone better. Brad was down to earth and professional, we were so impressed with everything! He had so many great ideas for shots and video takes. Once we got the video in, we are thrilled with the way it looks, it's absolutely amazing! 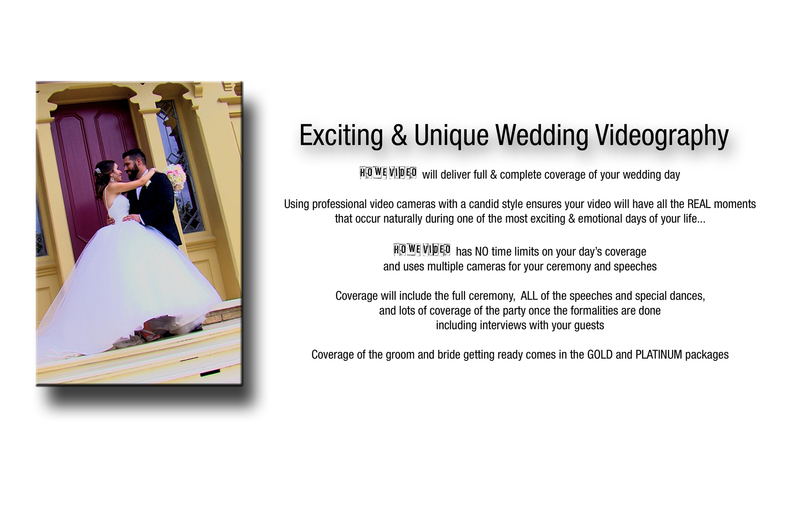 We highly recommend using Howe video for your event.